So after a 4 am start, a plane flight to Melbourne, an endless tussle with Melbourne traffic, and a cabbie who couldn’t distinguish between a Showground and a Race Course, I made it to the Royal Melbourne Fine Food Awards – albeit 40 minutes late…oops. So why all the commotion? Well I was lucky enough to be asked to be apart of the judging for the inaugural autumn cider and perry competition for the Melbourne Fine Food Awards. An honour which I am still buzzing about, as cider is a HUGE passion of mine. 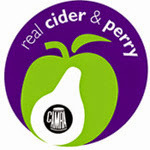 The whole competition was carefully organised by Ross Karavis (Event Manager for the Royal Agricultural Society of Victoria) along with Max Allen (wine writer and cider buff) who meticulously defined the classes and categories for the cider and perry competition. Along with Max Allen and myself (the blogger), the other judges consisted of cider makers, wine makers, wine writers/journalists, and bottle shop beer buyers – so there was a good spread of experience and walks of life. It was pleasing to know that over sixty ciders were entered into the competition, which showed that producers aren’t afraid to contest their products against their rivals in a epic battle of apple and pear supremacy…..ahh too far maybe James? (Bottle fermented being made using methode traditionelle, natural carbonation, either dry or sweet with dosage liqueur or keeving). And NO FLAVOURED CIDERS!! Halleluiah!! Get excited! 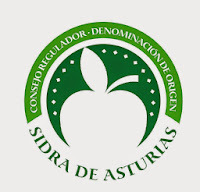 The ciders fell into different categories according to their sweetness or specific gravity (SG). This consisted of: Dry 1005 or below, Medium between 1005 and 1012 and sweet being above 1012. The day ran nice and smoothly with judging being efficient and concise, as the layers of tooth enamel progressively got thinner and thinner. I was told to channel my ‘inner eighteen year old girl’ whilst judging the modern sweet cider category as I was really finding it hard to give a positive for some entries – best advice I’ve ever gotten, thanks Mr. Allen! Some ciders presented were lovely and well made, with others making you wish you could go back in time and not put it anywhere near the vicinity of your nose and mouth. But overall, the important thing I got to take away from this exercise was the bigger picture of the state of our Cider Industry in Australia. Things are looking promising and quality is rising as more batches and experiments are being made/produced. With the knowledge of the cider making process, and blending/stylistic component options continually growing, Aussie cider should continue to grow. Faults like reductiveness (or rotten egg), mousiness, cooked characters and volatile acidity (vinegar/nail polish remover) did plague some ciders throughout the judging. This stewed, or ‘cooked’ note was quite common in many classes, and it was debated whether it was a storage issue or a result of pasteurisation. Remember pasteurisation can potentially heat a cider up to 60ºC, which is more than enough to have an adverse effect on flavour. The quality of Australian cider is slowly climbing the mountain of cider superiority. The addition of true cider apples, and the experience to utilize them with dessert apples will see quality rise substantially to the peak over time. But until then, the urge to over use and over complicate the humble dessert apple needs to be restrained. Otherwise there will be a whole bunch of confused consumers unsure of what they are consuming – being lolly water or an oxidised mess. The cider making process will also become more understood in Australia over time, with knowledge to what apples and pears respond to best expanding which will be of a huge advantage. So the awards hailed no gold’s or trophies, with a general consensus amongst the judges that an awarded sliver is currently a gold in Australian Cider right now. I hope to see this change in the not so distant future, with more producers entering the competition (and the Australian Cider Awards) with higher quality styles. Finally, a huge thank you goes out to Ross Kavaris and Max Allen for the giving me the opportunity to judge. It was a great experience! Righty oh, now to the cider in question. The first thing which caught my eye on the label was the ‘cool fermented and cold filtered’. Why you may ask? Well from this I expected to see super fresh aromatics and huge freshness. Cooler temperatures during ferment retain more aromatics and flavour compounds, and this is very important to apple cider. The colour of the cider was very light in straw, almost bordering on colourless. I think I have made my point on very light, colourless ciders in previous reviews – I am not overly keen on it. But I let the actual cider as a whole do the talking and not rely on just one element, so I’ll move on. There was next to no carbonation, mousse or bead in the glass either. I found I had to swoosh the glass quite vigorously to get any action - but I am fond of ciders which have lower levels of fizz, so it was a pleasant surprise. The nose lived up to my expectations of lively aromatics and freshness. The huge dominating character of this nose was pineapple! Pineapple here, pineapple there! Pineapple, pineapple, pineapple!! A huge punch of tanginess (if tangy can be smelt) along with floral, peach, stone fruit, table grape and summer fruit aromas exploded out the glass. A hint of spiciness was also noted. This was uncannily similar to a bowl of fruit salad; it was like summer in a glass. As a whole, the nose reminded me of a bold Gewurtztraminer wine, being floral, spicy and overly ostentatious. I really digged it, and loved the super fresh, clean and crisp characteristics. Very cool. The palate offered up a really nice mouth filling, off dry sweetness. For some weird reason I thought this cider was going to be very dry, so to see some sweetness was good. Judging by the super fresh primary characters on the nose, and the residual sweetness on the palate, I am tipping some fresh juice was added back to the final product before filtration. I may be wrong but it definitely seemed that way. The BIG pineapple characters followed through onto the palate, along with some fresh apple notes. The acidity was very crisp and punchy with a funky tangy undertone. The flavour does fade quite fast however on the back palate, leaving you with some lingering bitterness. There was a wee bit of astringency, but you really need to swirl the cider in your mouth to find it. The lower level of carbonation foamed up nicely too, added another dimension to the fuller and rounded mouth feel. The modest 5 per cent alcohol was almost undetectable on the back palate, which was a good sign of balance. Well this cider is a good little example, and its drinkability is through the roof. It’s almost too easy to drink. The nose was the real hero. It would be perfect on a hot summer’s day and would be perfectly suited to a draught style on tap. It was clean, fresh and simple with no over complicated features, and had honest flavours. This is a commendable cider that is very fruit forward and perfectly suited to the high Aussie summer temperatures. It’s also worthy to note that this cider is the official cider of a certain car race which will be held in Melbourne next month. 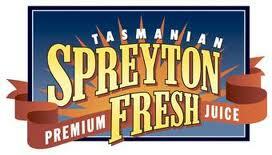 This cider is found in all the major liquor outlets in Australia. So if you’re keen for an easy drinking cider which you can have standing around a barbie, then this is a good choice.